Ways to lose weight: Two ways stand out lose the pot belly and get rid of bloating. Gravity and age play a role in belly fat, but that's not the only way to walk around looking like your 3 months or more pregnant. I have had a pot belly problem since I was a teen. Even though having to much fat around the middle makes you look much fatter than you are, heredity, stress and childhood trauma can be related factors. You can diminish the "El Potto" with a few simple exercises done most days of the week. The possibilities are there, you can lose as much as 3-5 inches from your waist. It won't happen over night, however you will gain control of your life as well. And find a whole new way to lose weight. It is, of course, possible to rid the belly fat. You'll look better along with the bi-product: feeling better as well. Simply the answer is strong tight abs. Furthermore, another plus comes with knowing you are protecting your back with strong abdominal muscles. When dieting this way you lose weight faster, fat doesn't hang around well defined muscle. Start with crunches, the very best exercise for flattening. Crunches tighten up the muscles under the belly fat. Lie on the floor, knees bent, feet 18 or so inches apart. Two ways to lose weight: clasp your hands behind your head keeping your arm out to the side. Don't fold your arms in as you pull into the crunch. Or you can cross your arm over your chest and lift up that way. Curl your upper body off the floor toward your bent knees. Hold at the apex for a few seconds, slowly come back down to the floor. Start with no more than 10 crunches, unless you don't plan on getting out of bed the next day! you'll be sore for a few days so take it easy. An easy way to lose weight, do 3 sets of ten crunches 2 times a day when dieting. 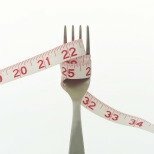 Ways to lose weight without actually losing weight? Ya, I do it quite often! How does an abdominal massage sound for nervous tension and emotional stress? Both types of stress are held right in the belly, especially women! Reduce belly fat with Lemon Balm. 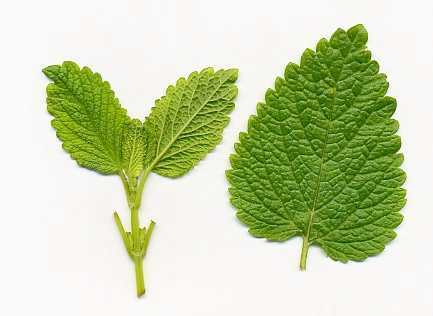 Add 4 to 6 drops of essential oil of lemon balm to 1 tbsp of massage oil. Hint: You can add a few drops of chamomile oil as well for more calming effect. Try using gentle strokes, spreading the essential oils over your entire abdomen. Use a circular pattern of slight pressure. Begin at your belly button with small circles while gradually enlarging then until you abdomen is covered. Use only your fingertips circling in a clockwise direction. Another way to lose weight banishing bloating. Bloating sometimes make you have a pot belly when in fact you are thin and not fat at all. Ways to lose weight started back many years. Caraway seeds was discovered as a way to banish bloating back in the 19 century here in the USA. It's and old-fashion method or remedy limiting the bulge. Caraway seeds are a rather volatile oil. The seeds stimulate a sluggish digestive system. If you are prone to constipation you are well aware of bloating and how awful a stomach looks when you haven't had a bowel movement for several days. Steep 1 teaspoon of caraway seeds into 1 cup of boiling water, cover and let sit for 15 minutes. Strain out the seeds and drink the teas after a meal. Drink the teas slowly. Use this remedy after every meal and banish bloating for good. You have found two new ways of losing weight, try both when dieting you can't lose anything but weight.